Dr. Thomas Hund is a Professor in Biomedical Engineering at The Ohio State University. He also holds a joint appointment in the Division of Cardiovascular Medicine in the Department of Internal Medicine and serves as Associate Director for the Davis Heart and Lung Research Institute. The Hund lab employs a highly interdisciplinary approach combining state-of-the-art computational and experimental approaches to uncover novel pathways for regulation of cardiac cell excitability. This research effort has defined novel molecular pathways for local control of cardiac ion channel activity with important implications for human cardiac arrhythmia. In addition to his research achievements, Dr. Hund has been recognized for his dedication to promoting undergraduate and graduate education in biomedical engineering through curriculum development, didactic teaching and mentoring. 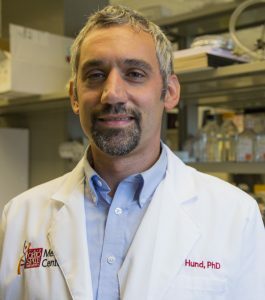 Before joining Ohio State in July 2011, Dr. Hund was an Assistant Professor of Internal Medicine and Biomedical Engineering at University of Iowa. He received his B.S.E. in Biomedical Engineering from Duke University (1996) and his M.S. (2000) and Ph.D. (2004) in Biomedical Engineering from Case Western Reserve University. Disturbances in normal electrical rhythm (arrhythmias) are responsible for hundreds of thousands of cardiovascular disease related deaths each year in the U.S. alone. At the cellular level, disruption of local signaling domains for regulation of ion channels and other membrane proteins is associated with increased susceptibility to arrhythmia in congenital and acquired forms of heart disease. Despite decades of work defining the role of aberrant ion channel activity in arrhythmia, the field lacks a complete understanding of the biogenesis and maintenance of the local signaling domains important for normal cell/organ function. 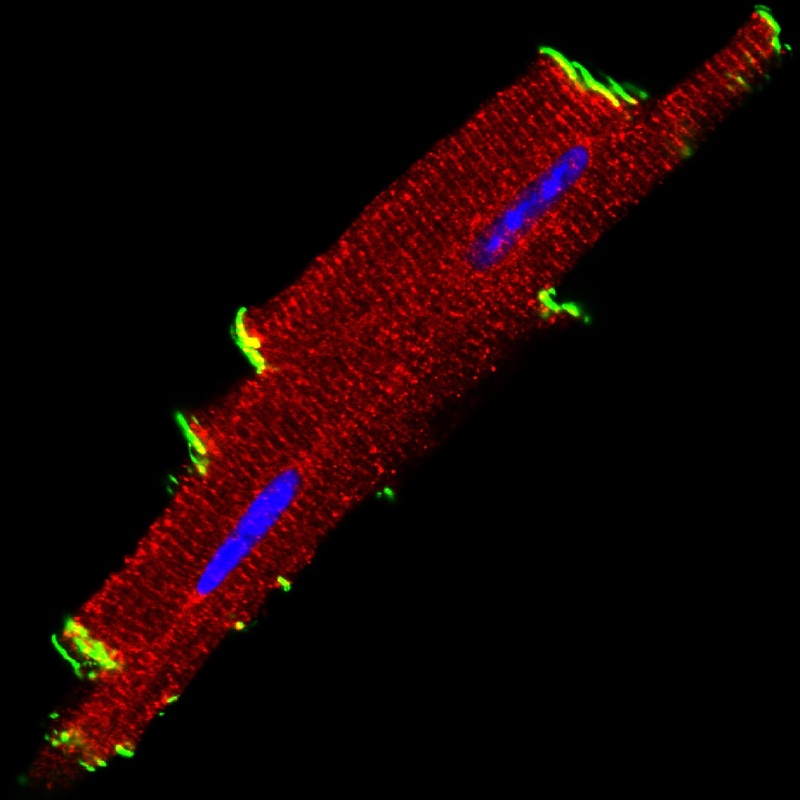 Our research seeks to understand the cellular pathways responsible for local regulation of membrane proteins in specific subcellular domains by the multifunctional Ca2+/calmodulin-dependent protein kinase II (CaMKII) with the overall objective of identifying novel therapeutic strategies for human cardiac disease and arrhythmia. Using a comprehensive approach that combines mathematical modeling and computer simulation with molecular and cell biology, electrophysiology, and small animal physiology, my lab has made a number of discoveries related to local regulation of cardiac ion channels in normal and diseased heart. Specifically, our studies have identified a critical role for the actin-associated cytoskeletal protein bIV-spectrin in organizing macromolecular ion channel complexes with CaMKII at the cardiomyocyte intercalated disc. At the same time, we have generated important insight into the pathway linking defects in CaMKII signaling, aberrant ion channel activity and a wide range of cardiac arrhythmias. Finally, we have identified a novel role for the bIV-spectrin/CaMKII complex in regulating the cardiac remodeling response to chronic adrenergic stress. These synergistic efforts have provided new insight into the molecular mechanisms for regulation of cardiac excitability and identify novel avenues to reduce arrhythmia burden in human cardiac disease patients.